Phil Jones professional wood turner makes a range of isolation feet mainly in Oak, but.He can also make them in exotic timbers such as African Blackwood.His customers over the years have reported that the sound of their Audio equipment is dramatically improved for a small outlay compared to replacing their audio equipment. 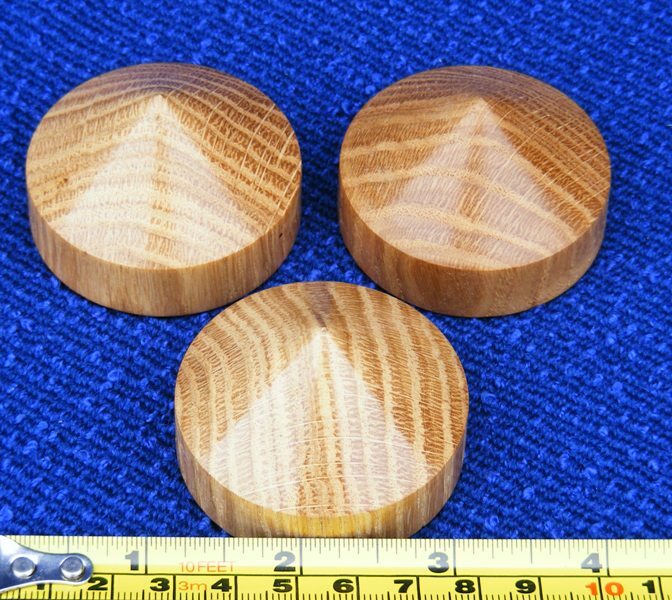 The isolation feet are individually hand made ,Phil keeps a pattern of each size of isolation feet so that the pattern remains a constant.The timber will of course vary as it is a natural product ,the grain and colour can vary with in the same specie of timber. 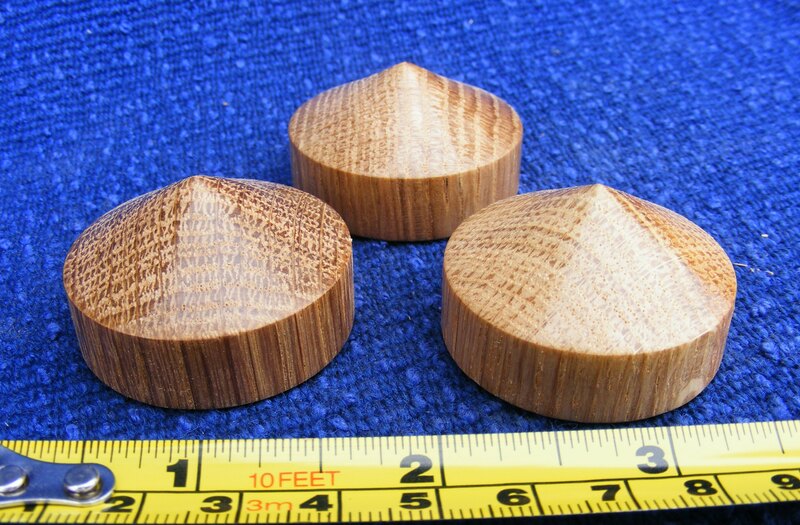 48mm oak isolation feet hand turned by Phil Jones professional wood turner. 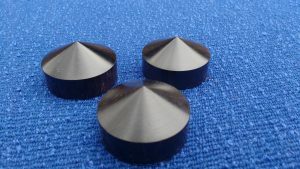 Here is my new exciting range of African Blackwood Isolation feet the timber of African Blackwood it is not entirely Black most of the time a grain can usually be seen.African Blackwood is a very closely grained and dense timber.The reports I have recieved from customers is that these have dramatically improved the sound making cleaner and crisper with depth. 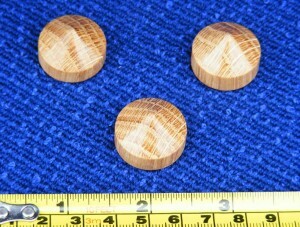 3 48mm African Blackwood isolation feet £22.00 UK delivery only. 4 48mm African Blackwood isolation feet £27.50 UK delivery only.